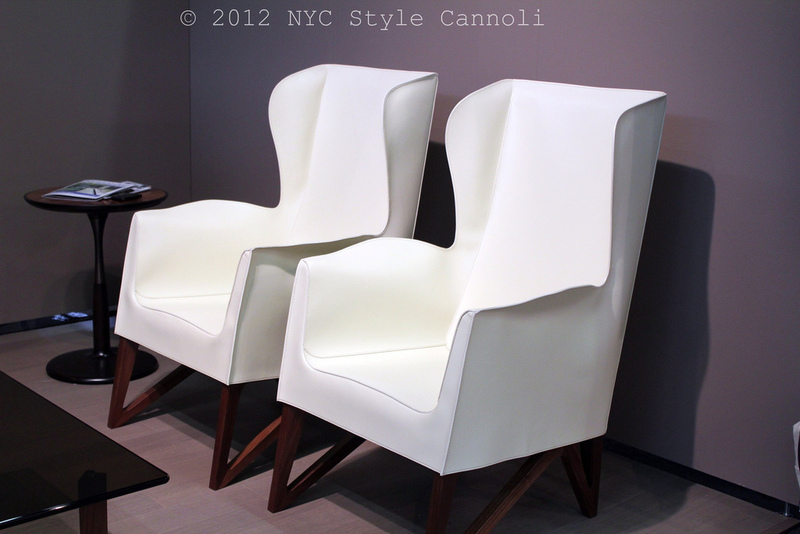 Photo Gallery Tuesday "Giorgetti Chairs at the 2012 Arch Digest Home Show"
I found these gorgeous chairs this past weekend at the 2012 Architectural Digest Home Design Show. They are made by Giorgetti, one of Italy's most respected names in furniture makers. I can see why. These were just so sleek and comfortable, if price was not an issue, I would have brought 2 home with me. I will be showing more fabulous items from the 2012 Architectural Digest Home Design Show in the days to come. I wish I had a photo editing fairy in my hometown!! Have a fabulous Tuesday!! I thought they were pretty darn cool chairs....not sure about the white but very cool indeed.